Chop the rhubarb into ½ in (1cm) lengths and place in a large pan with the water. 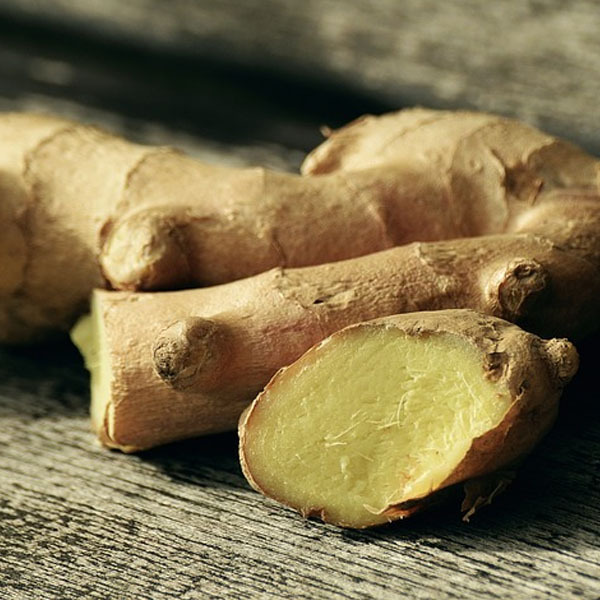 Bruise the dry ginger, or chop the fresh ginger into thin slices crossways, put it into a muslin bag, and add to the pan. Heat to the boil, and stir in the sugar. Add the lemon juice, stir until all the sugar has dissolved, then bring to a full rolling boil. Boil rapidly for 5 minutes, stirring occasionally. Remove from the heat, take out and drain the muslin bag, and stir in the Certo. Skim if necessary.